I have a new computer. 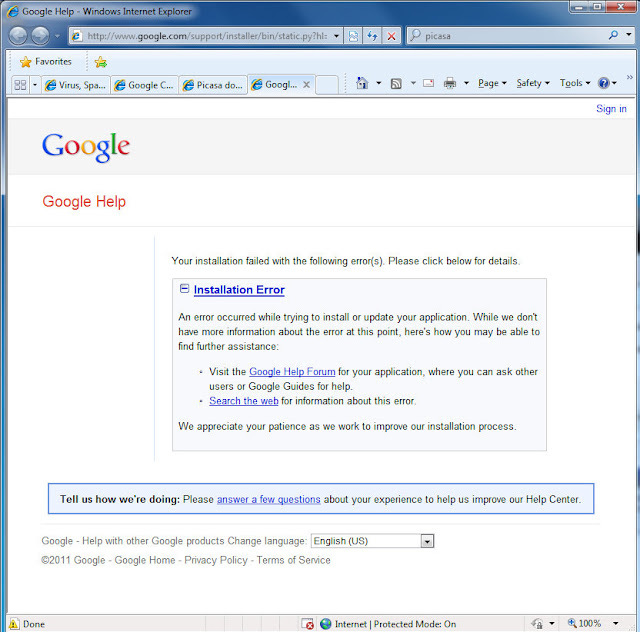 One of the first things I do once I get it set up enough to connect to the Internet, is attempt to install a browser other than Internet Explorer. Cool! Google has no information about the error. 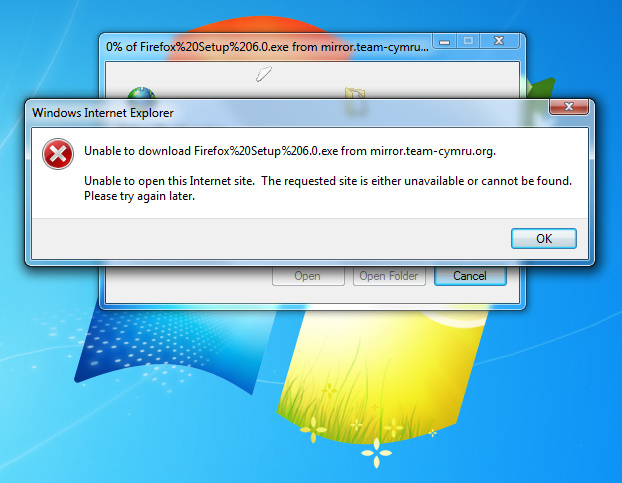 However, Internet Explorer reports an error viewing this web page telling me there is no information on the error. Nice. Null is null. Anyway, I'm getting distracted. So I go try another browser. 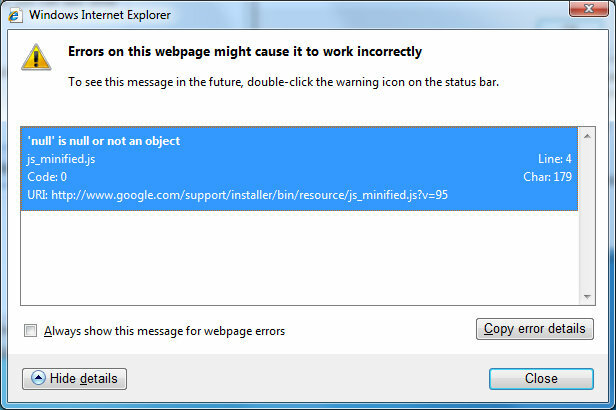 This time I try Firefox. To make a long story short, I discovered that I had to turn Internet Explorer's "Protected Mode" off and restart the browser. Even then, I could download and install Firefox but not Chrome. 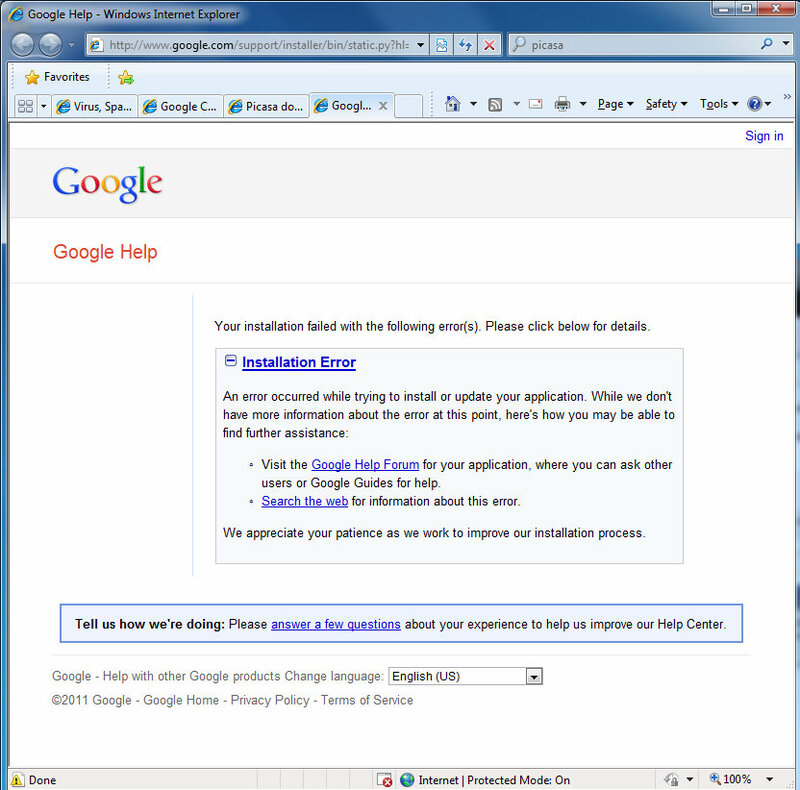 I then had to download Chrome using Firefox instead of Internet Explorer.